The Camargue is easily one of the most picturesque parts of southern France with its white horses, black bulls, and pink flamingoes. The roads to Saintes-Maries-de-la-Mer are lined with stables and for good reason. 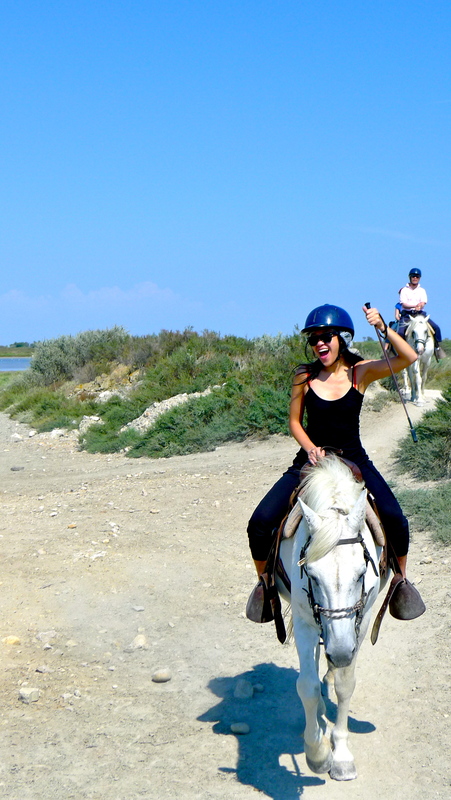 What better way to explore and take in the breathtaking views than on gorgeous white horses? 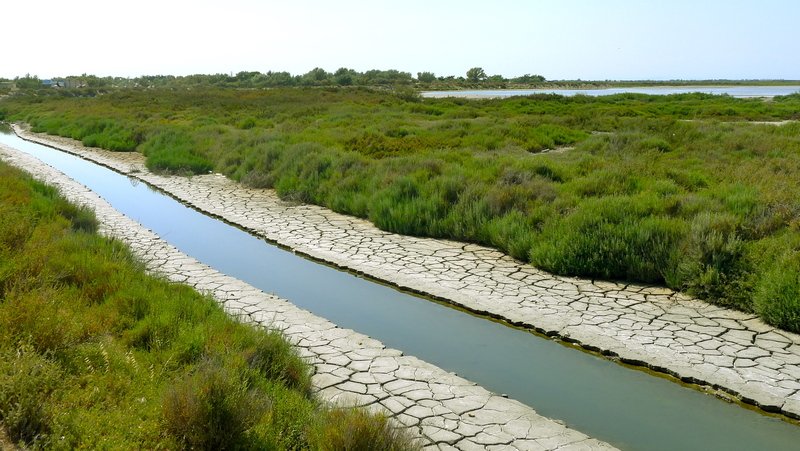 The region is comprised of many lakes and a large national park, the Parc Naturel Régional de Camargue. Bustling with wildlife, it is a heaven for ornithologists. Along the points where the Mediterranean meets the multitude of étangs, you’ll even find tiny travelers–crabs, shrimp and fishies–passing through the estuaries. In fact, the flamingoes get their pink hues as a result of a protein-rich diet of shrimp. Ah, so rich with fauna and flora. 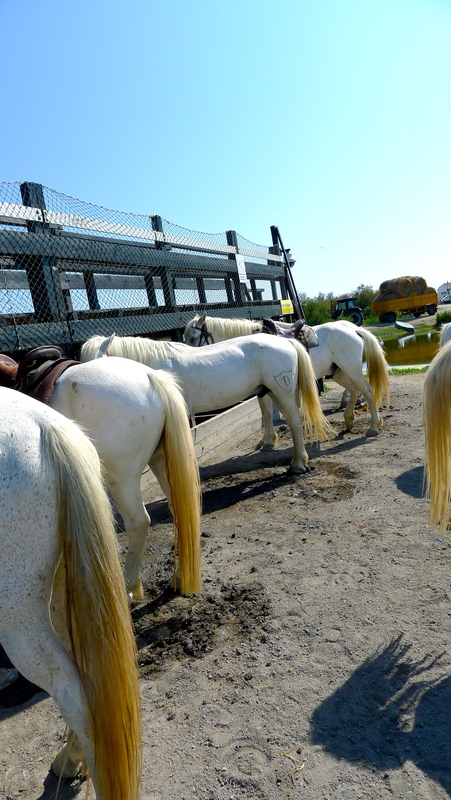 So if you’re headed to the Camargue, ditch the car and opt for a Camargue stallion. They’re perfect for beginners because they’re built for leisurely strolls. If anything, you may need a riding crop like my cousin Ting Ting had for her lax horse, Pong Pong. 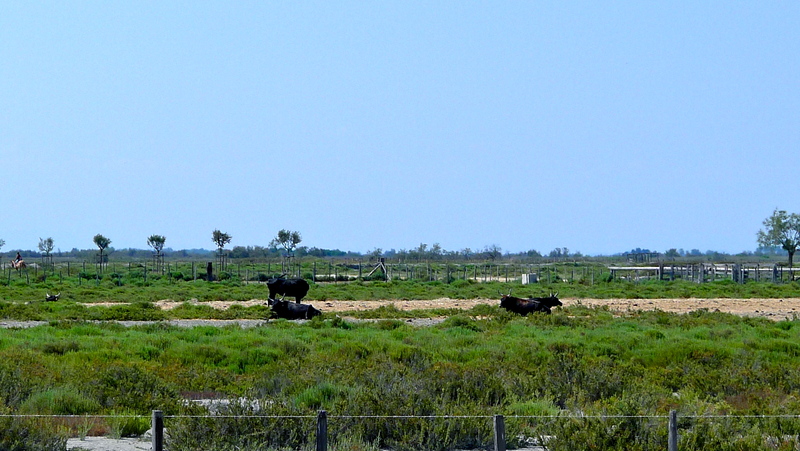 This entry was tagged Camargue, flamingoes, horseback riding, Saintes-Maries-de-la-Mer, stallion, toro. Bookmark the permalink.